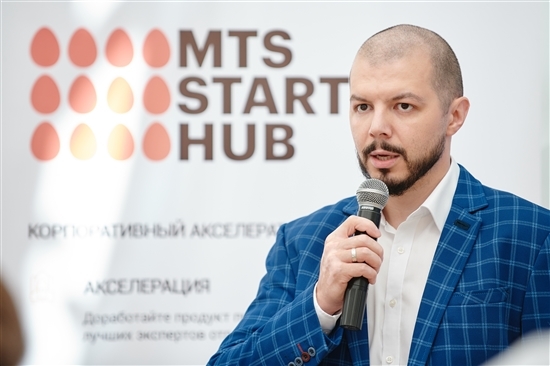 Sarex, a resident of the Skolkovo Foundation that uses aerial photography to improve telecoms services, was awarded the highest number of points of any startup at the culmination of the first MTS StartUp Hub, an accelerator programme organised by the Russian mobile network giant. Pavel Yershov, technical director of Sarex, speaks at the demo day. Photo: MTS. Eleven startups pitched their projects on August 9 to senior managers at both the telecom company and Global Venture Alliance and other experts, who proceeded to select the best products for introduction to MTS via a pilot project. The 11 teams had been taking part in the accelerator for the previous two months. “The projects were assessed on four main criteria: their value proposition, their readiness to be implemented as a pilot project, their plan for upscaling and their collaboration with the client team,” said Zamir Shukhov, CEO and partner at GVA. “In our opinion, the convertibility into pilot schemes is very high, which says a lot about how well prepared the startups were and about the quality of all the teams’ work,” he said. “I would single out Sarex, which uses drones to study areas and determine where communications towers can be located. It was awarded the most points from experts and the jury,” said Shukhov. Zamir Shukhov, CEO and partner at Global Venture Alliance, singled out Sarex for praise. Photo: MTS. Bogdan Bokhonov, Sarex’s product director, said the MTS accelerator hadn’t just given the company access to a huge number of various educational events, such as lectures, workshops and masterclasses. “Most importantly, it gave us the opportunity to talk directly with potential clients, which enabled us to get instant feedback and important inside knowledge, and create a product that is genuinely in demand,” said Bokhonov. 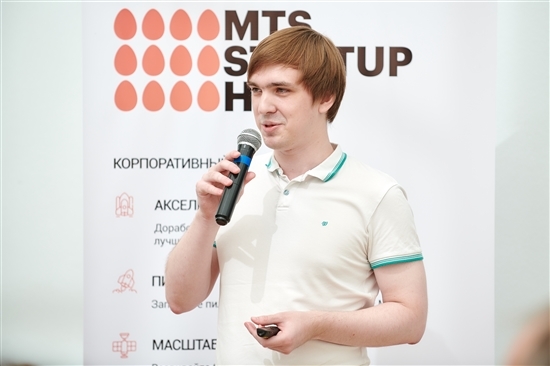 Dmitry Kurin, head of the MTS StartUp Hub, said it was not a classical accelerator. “We are focused on the full incorporation of breakthrough technologies in the company’s ecosystem,” he said. “Before choosing any startups [to take part in the accelerator], we spoke to everyone ordering business services and learned about their requirements, and only after that set about hunting for teams,” he added. Sarex does not make its own drones, but uses them as a source of data for Software as a Service (SaaS) solutions, thereby filling real demand from big business, said Valery Komissarov, a project manager within the Skolkovo Foundation’s advanced manufacturing and space technologies cluster, to which Sarex belongs. “Among the project’s stand-out aspects are its on-demand work model: more than 1,000 unmanned aerial vehicle operators in 50 cities around the former Soviet Union already work with the platform, which makes it possible to promptly carry out aerial monitoring of the entire territory of the Russian Federation,” said Komissarov. “The team is also highly competent in the field of machine learning and computer vision. I am sure that winning the MTS startup accelerator and their pilot project on the territory of the Moscow region is only the beginning of their cooperation,” he added.